As Secretary of State John Kerry testified before a Senate committee on Wednesday to defend the Iran nuclear deal, European allies continued to use the recently brokered agreement as a basis for broader diplomacy with Iran. 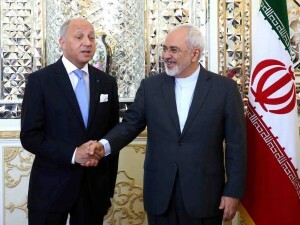 French Foreign Minister Laurent Fabius met in Tehran on Wednesday with his Iranian counterpart, Javad Zarif, a day after EU foreign policy chief Federica Mogherini also met with Zarif. The purpose of each visit was to discuss the terms of a nuclear deal signed on July 14 between Iran and six world powers. But each meeting also emphasized the broader opening the agreement established for more normalized diplomatic and economic ties with Iran. “Most Europeans hope that diplomatic success on the nuclear issue will have a spin-off effect, allowing broader engagement with Iran on regional files,” wrote Ellie Geranmayeh, an Iran expert at the European Council on Foreign Relations. The Obama administration has been circumspect on whether it believes the Iran agreement will influence Tehran’s behavior in the region. And it has tried to sell the deal independent of any broader change in the U.S.-Iran relationship. That was on display in Wednesday’s Senate hearing, where Kerry, Secretary of Defense Ashton Carter and Secretary of Energy Ernest Moniz argued that the nuclear deal constrains unwanted Iranian behavior. The Obama administration’s push to sell the pact is crucial given that Congress approved legislation in May which allows it to potentially block it. European diplomats face no such hurdles at home. Writing on the Guardian website on Tuesday, Mogherini said she was carrying with her the mandate from Europe’s 28 foreign ministers to explore the “ways in which the EU could actively promote a more cooperative regional framework” with Tehran. France and England have taken up more hawkish positions on Iran than other EU countries. But after agreeing to the nuclear deal, both countries have made clear their preferences for using the agreement as a launch pad for pursuing other concrete diplomatic goals. 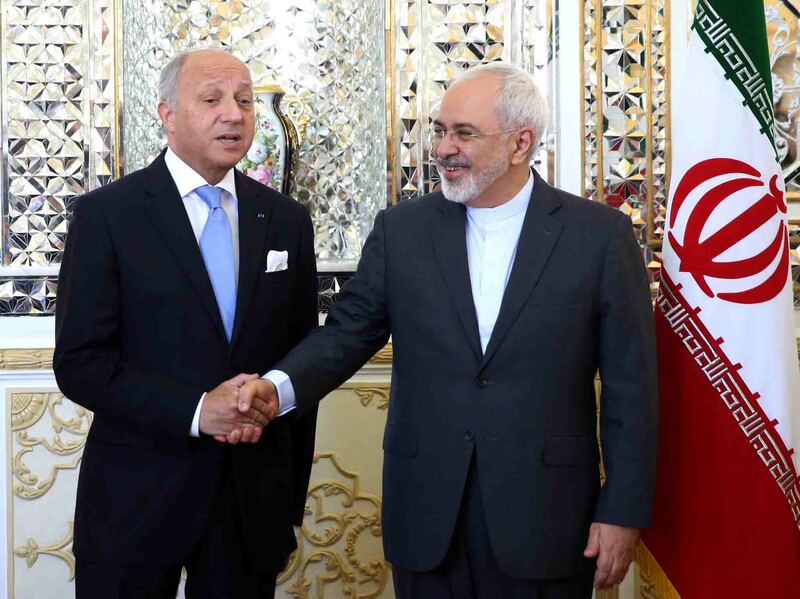 During his Iran visit, Fabius delivered an invitation from French Prime Minister Francois Hollande for Iranian President Hassan Rouhani to visit Paris. He also discussed plans for a French business delegation to visti Tehran in September. Sigmar Gabriel, Germany’s economy minister, led a delegation to Iran on July 19 to explore expanding business opportunities between the two countries. Germany has more business ties with Iran than any other EU nation, and while economic sanctions have hindered the relationship, Berlin still exported goods worth nearly 2.4 billion euros to Iran last year. Deutsche Bank recently forecaste that the Iran deal could pave the way for additional 2 billion euros if exports reach their 2005 levels, the peak before a decade of sanctions against Iran. Meanwhile, at a business conference in Vienna last week, European and Iranian officials indicated that Tehran was targeting gas and oil projects with European partners totaling as much as $185 billion by 2020. “The Iranian leadership has recognized the benefits of cooperation with Europe in developing its economy and escaping from its pariah status through reintegration into the global community,” wrote Geranmayeh. Judging by recent high-profile EU visits to Tehran, Europe has also acknowledged the potential payoff. Italian Foreign Minister Paolo Gentiloni plans to visit Tehran in August. In September, Austrian President Heinz Fischer plans to visit Iran, which would make him the first European head of state to do so since 2004.